Paperless delivery with manual scan and automatic status messages. From now on new relation: daily collective shipment from Ludwigshafen to Vienna. Takeover of the operative business of the transport mediation. Expansion of the Italian import / export relation nationwide. 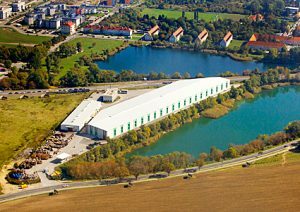 Relocation to the newly built facility to Guntramsdorf. Extension of relations: Export Turkey, Benelux, France. Extension of the relations Import Switzerland, Export Italy. Extension of relations: import system traffic Germany (Stuttgart), export system traffic Germany (Stuttgart). Takeover of the entire warehouse logistics of several major customers. Extension of relations: Import Italy (Milan). Extension of relations: Import France, Germany (Hamburg, Berlin, Southern Germany), Export Switzerland. Construction of a logistics warehouse for tires and wheels as well as an own tire assembly. Establishment of the TVS European traffic at the location Guntramsdorf including the relations: Import from England and Germany (area Cologne), as well as system traffic export into the Rhine / Ruhr area. 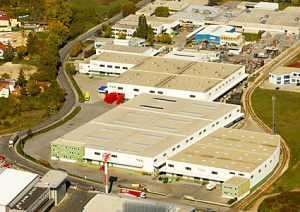 Foundation of the company TVS-Transportvermittlung. From the beginning, qualified and self-dependent, motivated employees are the basis of our success. The company is certified according to DIN EN ISO 9001: 2008.